In White Boy Running, Christopher Hope explored how it felt and looked to grow up in a country gripped by an 'absurd, racist insanity'. On a road trip thirty years later, Hope goes in search of today's South Africa; post the evils of apartheid, but also post the dashed hopes and dreams of Mandela, of a future when race and colour would not count. He finds a country still in the grip of a ruling party intent only on caring for itself, to the exclusion of all others; a country where racial divides are deeper than ever. As the old imperial idols of Cecil Rhodes and Paul Kruger are literally pulled from their pedestals in a mass yearning to destroy the past, Hope ponders the question: what next? Framed as a travelogue, this is a darkly comic, powerful and moving portrait of South Africa - an elegy to a living nation, which is still mad and absurd. 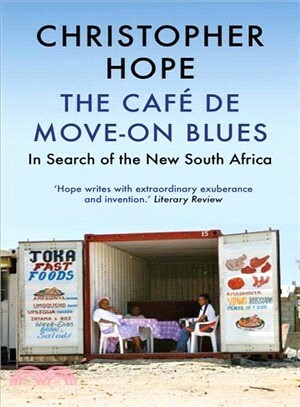 Christopher Hope was born in Johannesburg in 1944. He is the author of Kruger's Alp, which won the Whitbread Prize for Fiction, Serenity House, which was shortlisted for the 1992 Booker Prize, as well as My Mother's Lovers and Shooting Angels, which were both published to great acclaim. He is a Fellow of the Royal Society of Literature.